There are a few franchises which would seem very much suited to the scale and interface of Apple’s iPhone. There are the old Lucasarts adventure games for example, which are rumoured to be making their way to the platform as part of Lucas’ revival of its back catalogue. One of the others is Worms – the size of the touchscreen, the fact that it’s a mobile platform suited to playing in shorter bursts; these things ensure that Worms and the iPhone should go together like Us and Awesomeness. Unfortunately though, it’s not that simple. Using the friendly graphical style of Worms 2 and the standard selection of weapons (there are banana bombs and holy hand grenades, but no old grannies or mad cows), the game definitely looks the part. The controls are fairly sensible too, with you able to zoom in and out on the action as you wish and pan around the battlefield with only a slight feeling of lag. Some of the weapons, such as ninja ropes, homing missiles and air strikes have their own control nuances, but mostly combat is a fairly straight forward affair – aim, power, release. The level creation tools aren’t as in-depth as they might be on the PC, but they’re acceptable. 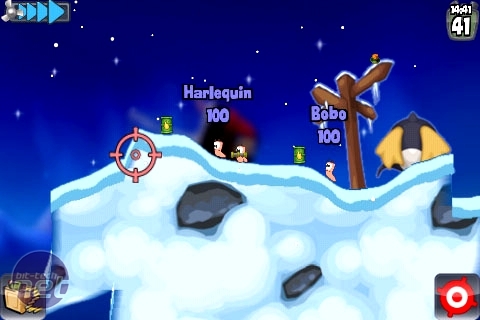 The main problem with Worms though is the time limit which sits on the game like a concrete donkey, crushing the life out it. The time limit on the turn forces you to rush an awful lot and the fact of the matter is that there just isn’t enough time to work around the interface. By the time you’ve surveyed the scene, zoomed in, moved to position, chosen a weapon, aimed, fired and got to a safe distance then it’s game over – something which even ruins the hotseat multiplayer. Verdict: Fun enough, but still flawed – the problems are easily fixable though, so keep your eyes on the updates before you shell out for sure. The Nintendo DS and Apple iPhone have enough in common to prompt a number of developers to port their games between the two and one of the bigger titles to make that jump is Ubisoft’s Assassin’s Creed: Altair’s Chronicles[/i]. 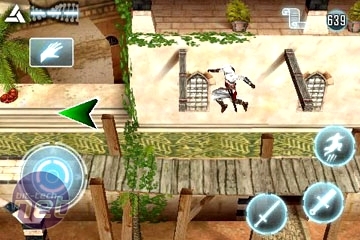 A direct port of the Nintendo DS version, Assassin’s Creed on the iPhone is universally not worth playing if you’ve already bested the original release as there’s nothing new here other than the price based rage. £30 to pick up the Nintendo DS version new, but £2.99 for same game on the iPhone? Ubisoft, you sneaky sods. If you’re not familiar with the earlier version of the game then it is remarkably easy to get into and it’s almost impossible to get stuck in this incredibly linear platform game, though some of the minigames can be a bit troublesome. 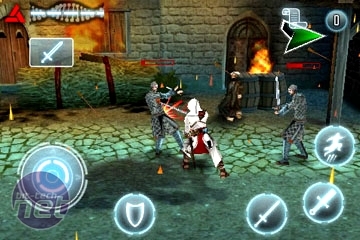 All you really have to do is keep moving in the direction the screen takes you, stopping occasionally to fumble through a sword fight. The gameplay is solid then, if not exactly revolutionary, and the plot prequels the original game and provides a touch of background info for fans. Really though, the main draw is the graphics – Altair’s Chronicles is one of the best looking games on the entire platform, which helps compensate for the lack of replayability somewhat. Verdict: A solid platformer, but likely not a game you’ll keep returning to, Altair’s Chronicles is definitely worth a look – though you might want to try the lite version first. 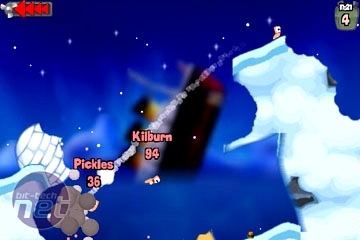 Team 17 has announced a new 3D Worms game, dubbed Worms: Ultimate Mayhem.